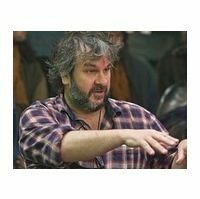 Following the success of World War I documentary They Shall Not Grow Old, Peter Jackson is to direct a documentary about the recording of The Beatles album Let It Be. The new film will be based around 55 hours of never-released footage of The Beatles in the studio, shot between January 2nd and January 31st, 1969. The filming was originally intended for a planned TV special. The footage will be restored by Park Road Post in New Zealand, using techniques developed for They Shall Not Grow Old. TVBEurope recently spoke to Stereo D, who worked with Jackson’s team on restoring footage for the World War I documentary. ChyronHego gives life to Peter Pan Live!